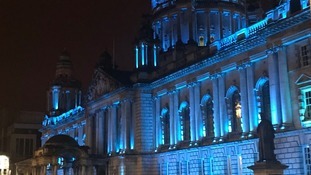 Belfast City Hall has been lit up in teal to honour the Belfast Giants after they were crowned Elite League and Challenge Cup champions. 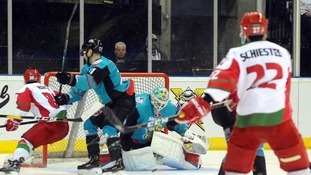 The Belfast Giants have been crowned the Elite League champions, after the Cardiff Devils were beaten in their final game by Coventry Blaze. 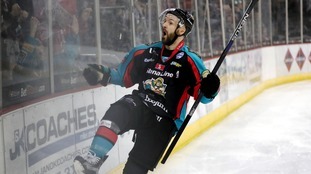 Colin Shields, the all-time leading scorer for the Belfast Giants, Team GB, and the Elite League, has announced his plans to retire. 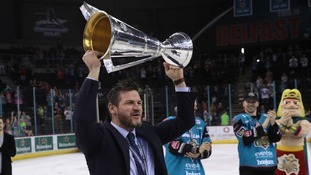 The Belfast Giants have claimed their second trophy, winning the Erhardt Conference and moving top of the league with five games left. 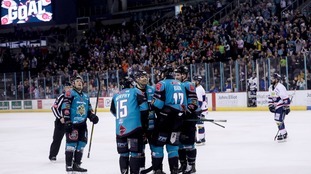 The Belfast Giants have successfully defended their Challenge Cup title, beating Guildford Flames 2-1 in overtime in this year’s final. 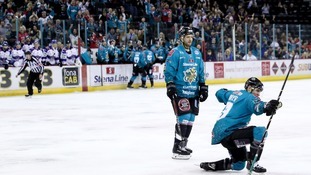 A host of Belfast Giants legends are back in the city to celebrate the career of long-serving netminder Stephen Murphy with a testimonial. 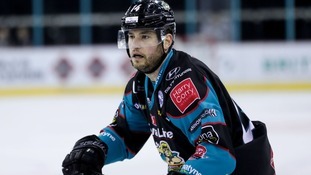 A new signing for the Belfast Giants brought forward his travel plans after watching one of the team get injured – and scored on his debut.